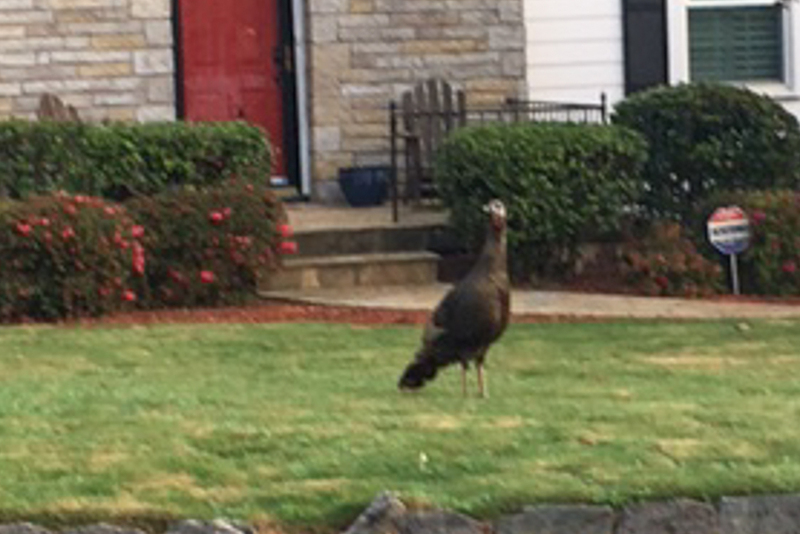 A mighty handsome turkey -looks in good shape, although Ben thinks he’s scavenging for food Because of loss of natural habitat. Are there woods nearby? There are some wooded areas in the neighborhood and some are fairly dense. 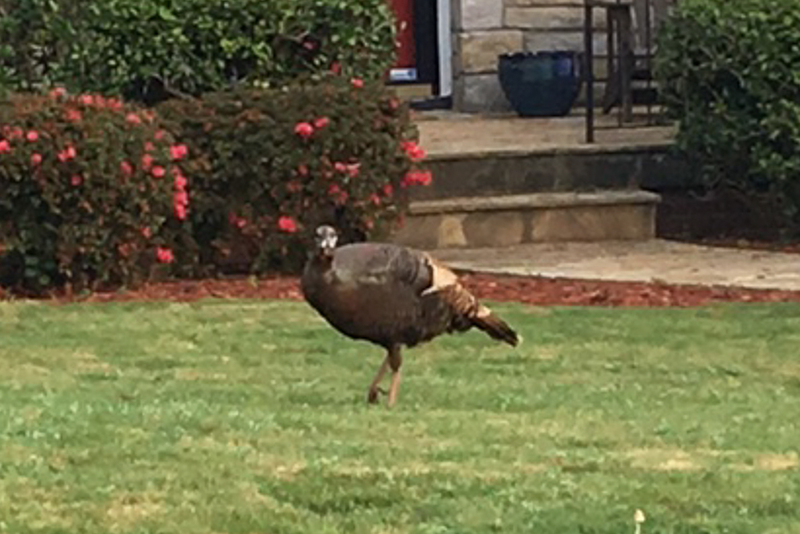 In addition to the quoted sighting we mention in the post, there was another reported sighting of a wild turkey on the other end of the neighborhood later in the day – possibly the same bird. The neighbor who gave us the photos followed up later with this note: “Friend of mine owns True Timber camouflage company and is an avid hunter.